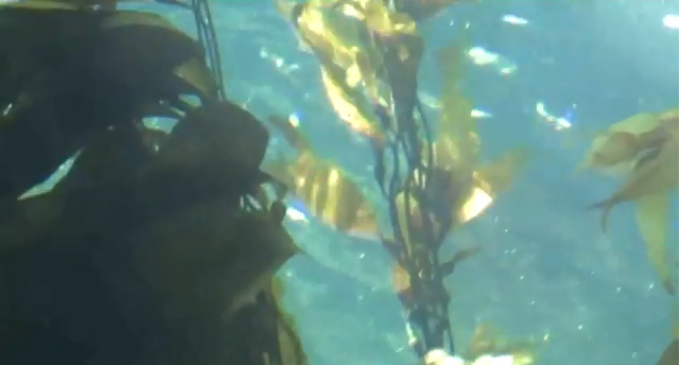 Scientists analyzing kelp off the coast of San Diego have confirmed the presence of cesium this week, a radioactive isotope directly linked to the Fukushima Daiichi power plant disaster. Radiation has also been coming down from the atmosphere onto US soil, as residents in California and Missouri have shown using their own radiation equipment. Sometimes showing upwards of an 800% increase in background radiation. Dumbass, Cesium is a naturally occurring element. There are different cesium isotopes and based on the type(s) found in kelp, scientists can determine where it came from. I always said there must be something in the water in California. Sure it wasn’t there to begin with?